Predictions of Lord Gauranga’s advent. The Vedas declare that every embodied creature including humans is in truth a spiritual being and not their material temporary physical bodies. We are in fact declared to be, eternal, blissful and full of knowledge, separated, individual parts and parcels of Lord Krishna. The difference between us and God is that God is infinitely blissful, full of unimaginable opulence’s, knowledge and wisdom, fame, beauty and more, and we who are presently living within bodies made primarily made out of water, skin and bones, are not. Unfortunately, in this world, everyone mistakenly thinks their temporary body is their real self. The Vedas say that this is not so. 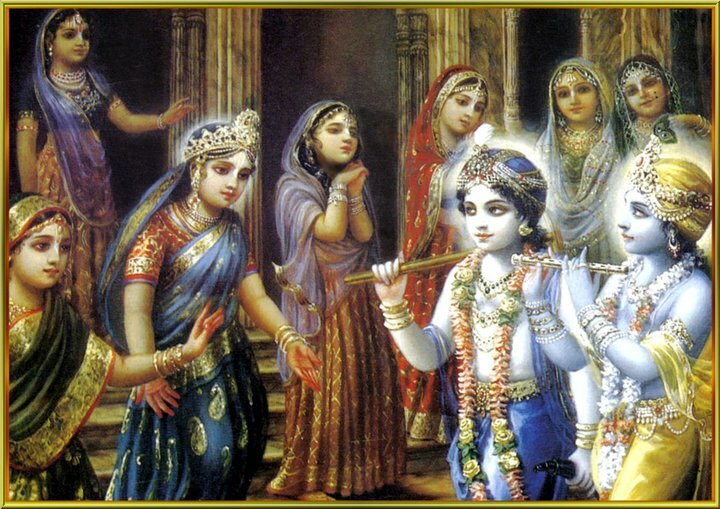 We belong in the spiritual world with God, one of whose countless names is Krishna, “The one who is All-attractive”. At present we have forgotten Him and therefore have also forgotten our real identity as spiritual souls and our original loving personal relationship with Him. This is why, until our real pure love for Him re-awakens and we no longer have an interest to enjoy the offerings of this material world, we will continue to exist in the material realm, this world, but only because we made a personal choice, we wanted to stay here, otherwise He is always ready to take us back home at any time. We could have stayed there; we would have never experienced the horrors of this material world. By default if we desire to live here and want to be separate from Him, He allows us to do this; He is completely detached and allows us the freedom to decide for ourselves. If this was not so, He would be a dictator and our love for Him would be false, it could never be real. So He does not force us to love Him, He wants this relationship to be real and therefore He is prepared to wait for the day, when after many repeated birth and deaths, we finally have enough and decide to come back home to Him. He will welcome us with open arms, but He never interferes with our freedom, to do what we want. We should know that He is always happy and full of unending bliss and our decision to come here to this material plane, is our problem, our responsibility, it does not disturb Him. He is also known as Atmarama, which means infinitely fully self satisfied and completely undisturbed. He has nothing to do. For Him everything is a beautiful playful pastime. 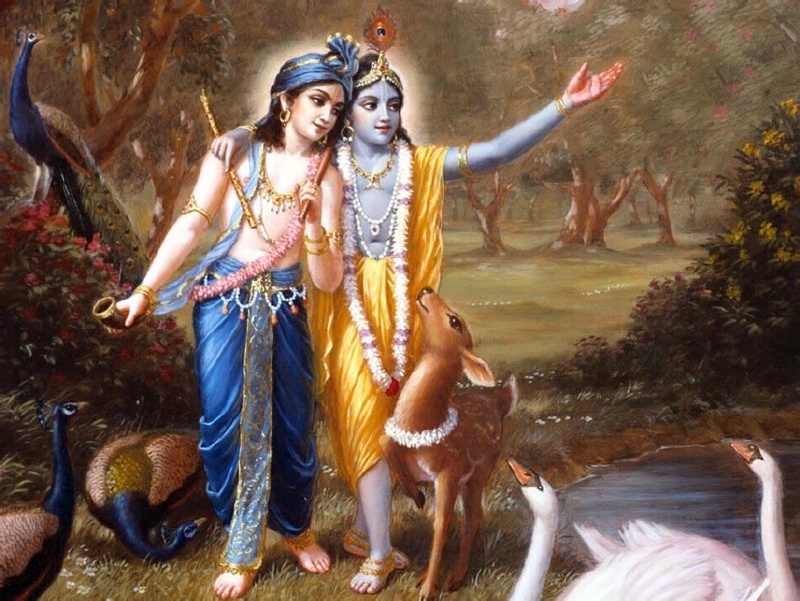 He always and forever enjoys and therefore He is also called the Supreme Enjoyer. Suffering, anxiety, fear, all the negative emotions and problems we experience here in this World, are completely absent in His abode, where everything is made of ever increasing bliss. His powers are so enormous, that just by His will this World exists and is maintained, He provides all this for us, because we wanted to be separate from Him. He is in full control of material nature and everything else in creation. His Abodes “Vaikuntha” and “Goloka Vrindavan” are completely anxiety free, the negative material plane, has no entrance there and instead pure unadulterated love of God vibrates everywhere, with ever increasing beauty and uncountable ever increasing loving modes or rasas. All personalities there have eternal spiritual forms and their bliss and happiness is made of pure love. It is not something that we can see or experience on the material plane in these material bodies, made of matter. Whatever sensual pleasure we do get is temporary and ultimately disappointing. Therefore we can make our life perfect, once we find a teacher, a genuine and authorised spiritual guide, the genuine Spiritual Master, who can show us how to purify our consciousness from material concepts and re-establish our love and service mood for God. The easiest (and most highly recommended) method of self-purification for this age of kali (the age of quarrel and hypocrisy) is to chant the holy names of God, in the company of like-minded spiritual seekers, or devotees of Krishna. We also have no quarrel with any other religion, because if the goal is to love God then we are properly situated and there is only a different method, but not a different God, just because of a different name. The Lord has an infinite number of Names and all names are good. There are many articles on this site which explain our philosophy in greater debt and even some free books to download.